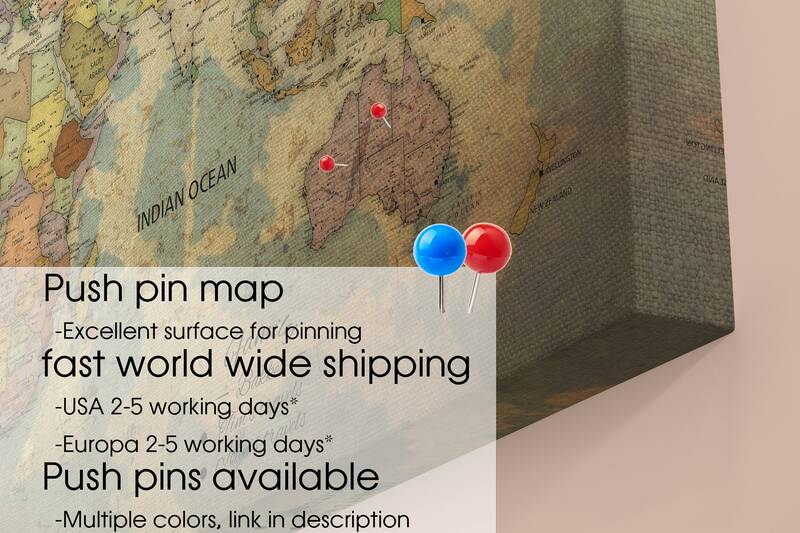 For all the world travelers, a push pin travel map. 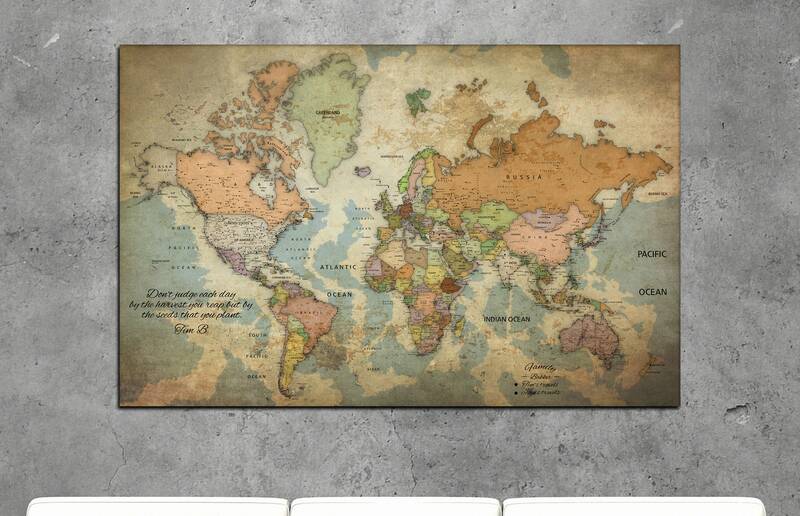 vintage, stylish and excellent for pinning all your travels. 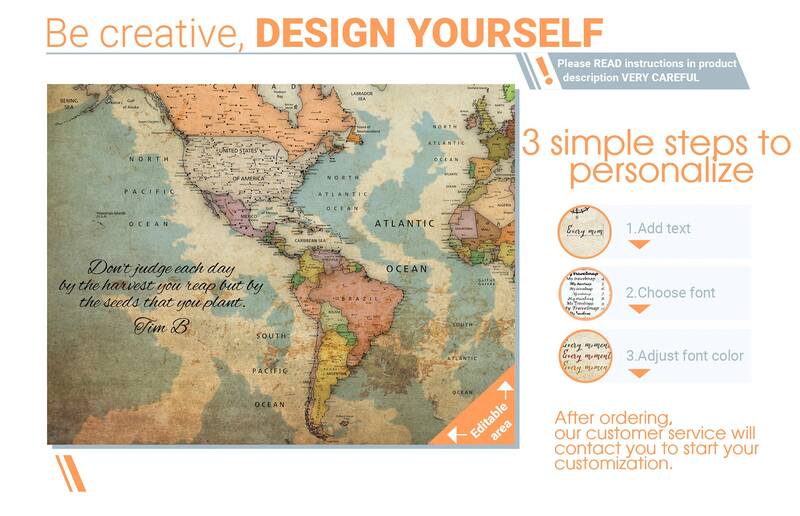 This is a finished canvas gallery wrapped product, ready to hang. No need to stretch yourself. Made out of high quality materials. 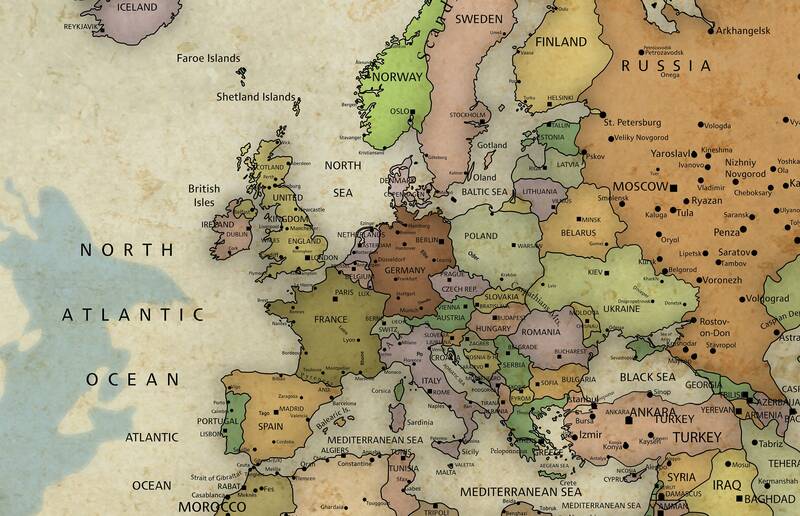 Love this map! It just adds so much to our office where I spend a lot of time. Thank you! Seller is super great to work with. Had no issues with the shop or with delivery. It arrived faster than I expected. The colors are rich and saturated which looks great on our walls. 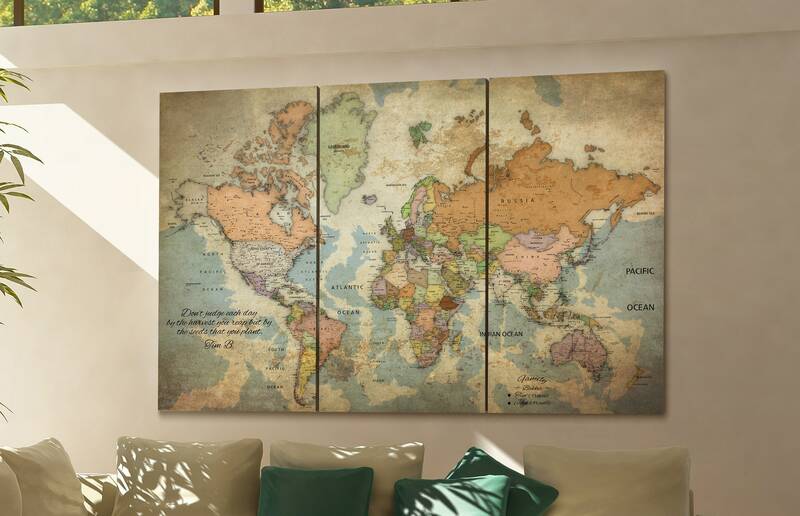 At $151 though for the 47"x31" map I expected a higher quality canvas. 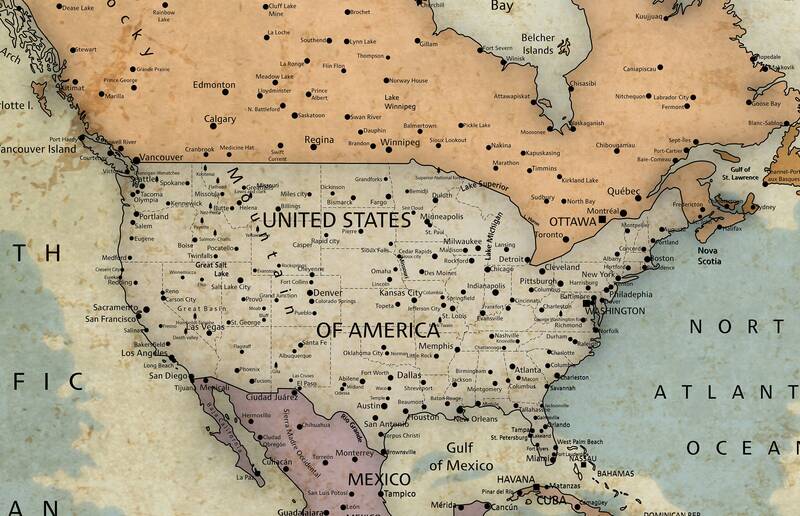 The names are blurred/double printed for the majority of the United States. 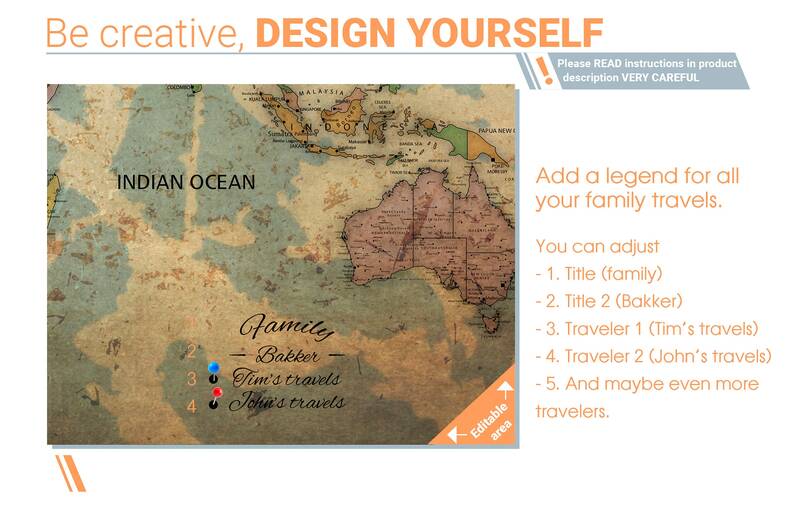 The Fiji Islands doesn't appear at all on the map. The wood cross bars on the back are inconveniently placed directly in the middle (latitude) which prevent the smallest map pins from going in even 1/2 way through the United States, Europe, and China/Japan...all the places we've frequented. Would buy from this shop again if the printing was crisp throughout the entire map and the framing on the back was planned out better to not obstruct the placement of pins. So pleased with this map and quality! The packaging was impeccable and arrived with no issues. Quick turnaround and super responsive to all questions. Thank you so much.